We envisioned a secure, dark & quiet environment to encourage napping and the use of binaural beat audio technology as a sleep aid for travelers. In August of 2007, the founders of Minute Suites set out to provide a wellness-based solution to the stress and fatigue caused by air travel. As physicians and healthcare professionals, they focused on sleep physiology and met with Dr. Sara Mednick, Assistant Professor of Psychiatry at the University of California, San Diego and author of “Take a Nap! Change Your Life”. From there, a talented team of architects, designers, and trade professionals, built prototype suites to accommodate and test the service. With painstaking attention to detail, the company finalized its production suites in March of 2009 and launched in Atlanta’s Hartsfield-Jackson International Airport on November 18, 2009. 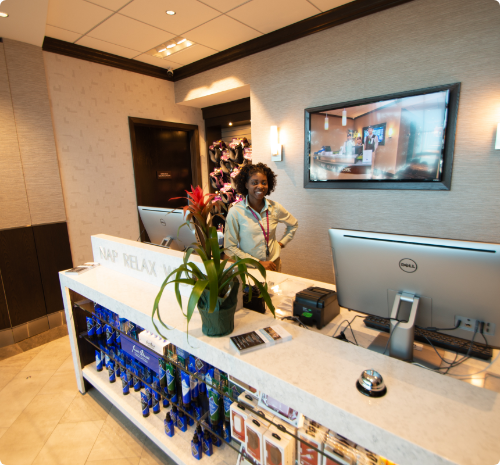 Building on the success of its Atlanta location, the second location was launched in the Philadelphia International Airport in March of 2011, providing another location while increasing the size of the concept to 13 suites. As travelers responded very positively to the company’s service, expansion was deemed necessary. Launching its third location in Terminal D of the Dallas/Fort Worth International Airport in April of 2013, and its fourth location in Terminal A of the Dallas/Fort Worth International Airport. Location number five opened in the Atrium of the Charlotte Douglas International Airport in April of 2018, and location number six opened in Concourse T of the Atlanta Hartsfield-Jackson International Airport in August of 2018. 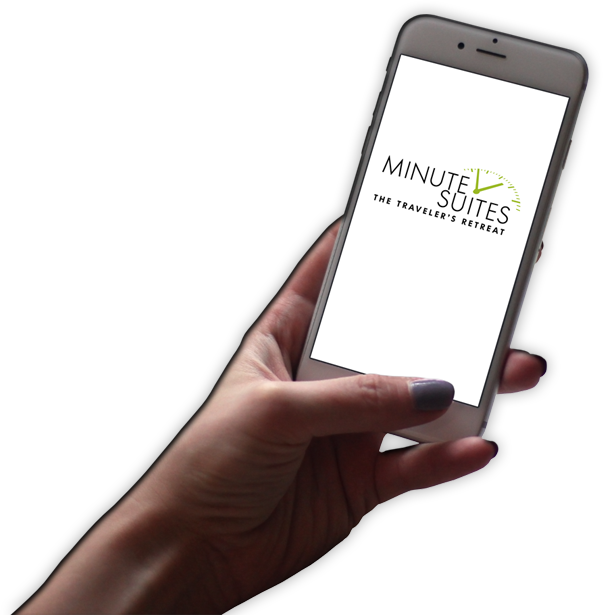 Minute Suites doubled in size in 2018, and we have contracts secured to double in size in 2019 taking us to 12 locations.